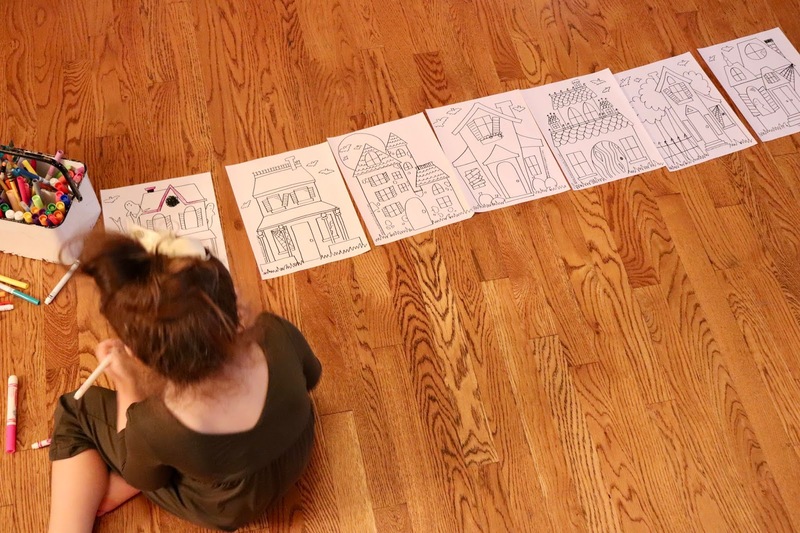 In August I shared a "doodle town" that I drew for the kids... simple little buildings that I drew and ran copies of for them to color, decorate and play with. I got so much great feedback and I've LOVED seeing your kids doodle and play! My original plan was to draw a couple of haunted houses that y'all could mix in with your other doodle town buildings but then I got carried away and drew seven. We put all of our houses together and made a whole spooky street. It was easy and simple and I love the collaborative aspect of all contributing pieces to a larger project. Happy Tuesday and happy coloring, friends! PS - you can shop our art favorites below (the links are affiliate links... thank you so much for reading and supporting my blog! This is such a fun idea! You're so creative! Adorable..you should go into the note card busiess! Sell them on Etsy,I'd buy them! So cute! AH! So sweet! Thank you! See if you can maybe access it from your phone and email it??? I've got one house in me. ONE. You are so creative and talented! I've got you covered, friend! Thank you!!!! My daughter had so much fun coloring your first set! You are so talented! That makes me so happy! Enjoy! Totally using these for my Kinder friends!! Thank you!!! I shared the August Doodle Town with a young mom and her little 5 year old! So fun! And I love that you're sharing them with friends! THANK YOU!!!! We love these at our house-you gave me some much needed working mom time the last time. Thank you, thank you, thank you!! YES!!! That's the best! Enjoy! Thank you so much for the doodles! My boys are going to love them! YAY!!! I hope they enjoy! Oh, girl! So sweet!!! I get ideas from all over the place (stickers, greeting cards, etc.) and I wouldn't feel comfortable selling anything that wasn't 100% my own original idea. YES Please do one!!! 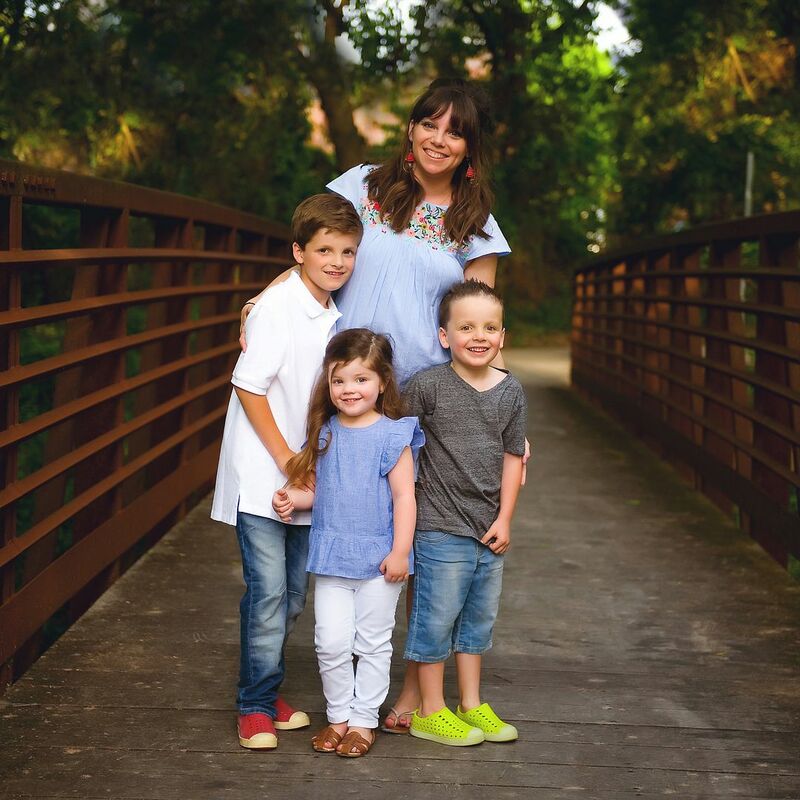 I am babysitting 3 boys on Nov 24 and would love to surprise them with a Christmas one!!! You are SO creative and artsy, and your doodles and hand writing is always so cute! You really should consider publishing/creating a coloring book with your doodles, seriously! You're so sweet!!! I get ideas from all kinds of books, stickers, stock art, etc. so I'm not sure my things are "original" enough for me to sell. Plus - I love sharing what I create with y'all for FREE! Your generous heart is amazing, thank you! I don't have kids currently but I know I'll be coming back to the Doodle Town pages once I do! Too cute! You're such a fun mom! Thank you so much for this, Andrea! 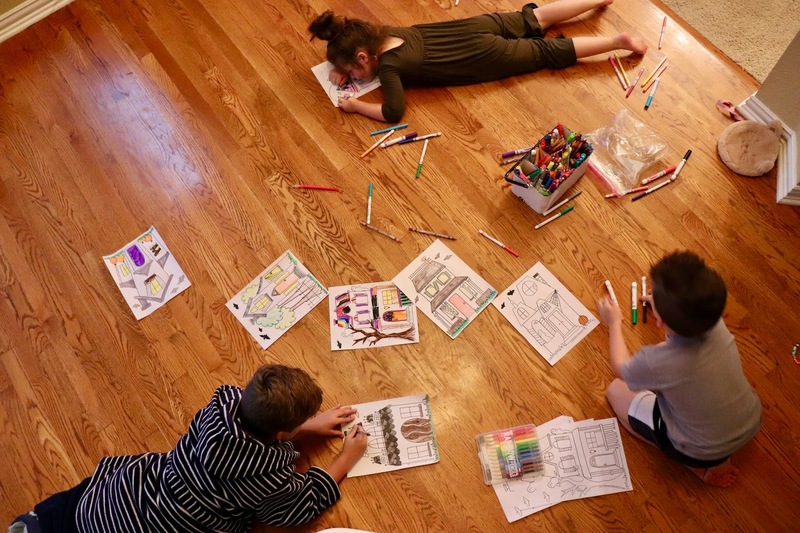 Seeing this post reminded me that I never sent you the pic of my kids coloring the first Doodle Town-- I just remedied that now :) I'll be sharing this with my mom friends. Thanks, girl! You are so talented, thank you for sharing! I just printed them off for my kiddos tonight. Thank you so much....these are awesome!! Your "doodles" are like works of art in my book :) Did you take an art class or are you just naturally gifted when it comes to drawing? I am so thankful you share your work!! 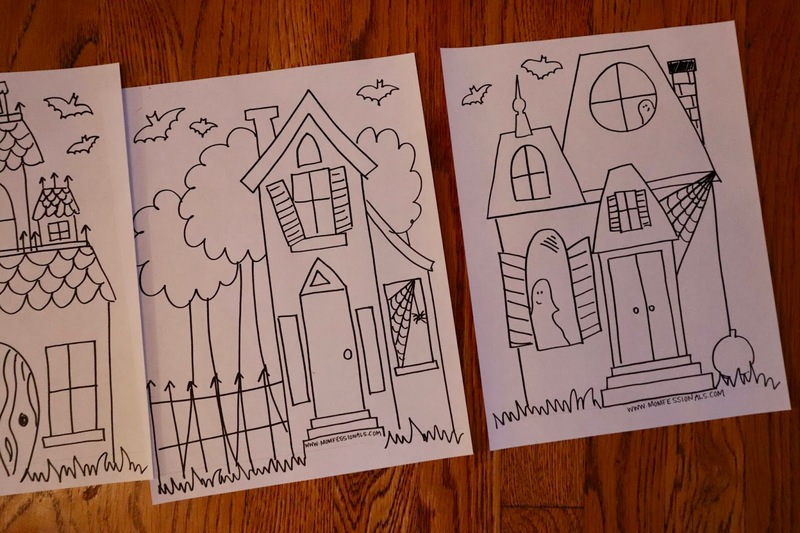 I am definitely downloading these for my kids to color before Halloween!! So much fun! You are a great artist for your kiddos! 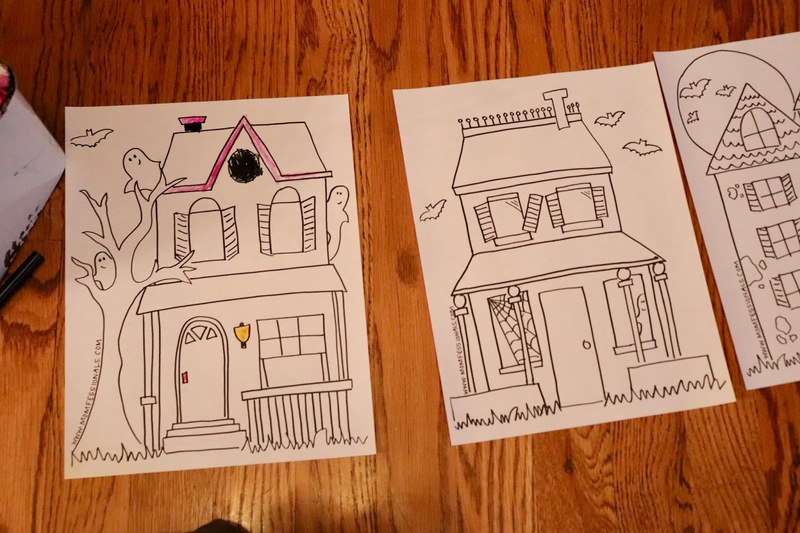 Thankyou so much for sharing, my daughter and I spent a few hours on the other Doodle Town pictures coloring, it was a great activity to share. She will be so excited and surprised by these today. Thanks for sharing! Please do a Christmas Gingerbread Doodle Town! (and I'm an adult HeeHee!) You amaze me with your talent! Thank you! We love coloring your amazing artwork! My daughter JUST finished coloring the other doodle town this past weekend!! She is going to be SO excited for the Halloween edition!! Thank you for sharing and I love your blog!! I've printed them out and hope to use them tonight. We LOVE these! My girl is 10 and this is the perfect evening activity for us while we talk about our day! Thank you for sharing! You are beyond amazing and so talented!! Three girls in my house and they loved making a town with your last set! Thank you so much for sharing your gift with us - you are so creative! My kids and I love these! They were so excited when I brought them home last night from work! Thank you! I would love for you to consider doing a Momfessionals doodle planner, with your doodle drawings for each month that I could color in myself. You certainly have artistic talent, and I love your whimsical style. I don't know of any similar type planner on the market, so please think about it. Thanks! This will be a fun project for my kids while they are on Fall break! We didn't get to go on a trip because of my work. Can you please do this again at Thanksgiving and Christmas?!?! You are so talented! Thank you, Thank you, Thank you. My boys loved the first set and can't wait to do the haunted houses. We appreciate you doing this! I love these! I have been using them in my classroom to help students with word problems- they write a number story based on your drawing! They had so much fun, I am really hoping that you will be creating a set for each holiday??? ?